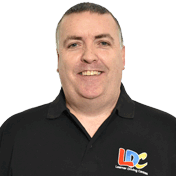 Ian teaches in a calm, friendly manner and I never felt any pressure whilst learning with him. He was relaxed and committed to teach me in a way that suited my needs. Using the LD System helped me to prepare for my next lesson by reading up on what we would be covering and the Driving Skills Workbook was easy to follow and explained things in detail. I would recommend Ian to anyone who wants to learn to drive. 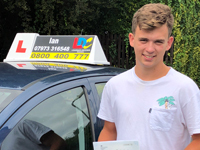 I'm a driving instructor in Winchester, Chandler’s Ford, Eastleigh, Otterbourne, Hursley, Silkstead, Kings Worthy, Sparsholt, Twyford, Shawford, Compton, North Baddesley, Romsey, Southampton Airport, North Stoneham, Chilworth and surrounding areas.